Russian kosovorotka 15" (38) #418 - Istok Church Supplies Corp.
A brand new Russian kosovorotka. Fabric: shirt cotton blend. 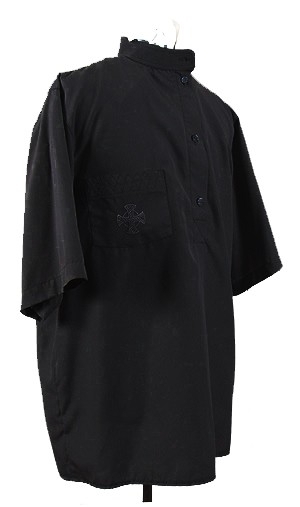 Embroidered collar and pocket.